Done for the ArtJumble theme of Made up facts about animals. All throughout my life I had always trusted that the avatars of the animal kingdom closely represented their real life counterparts. 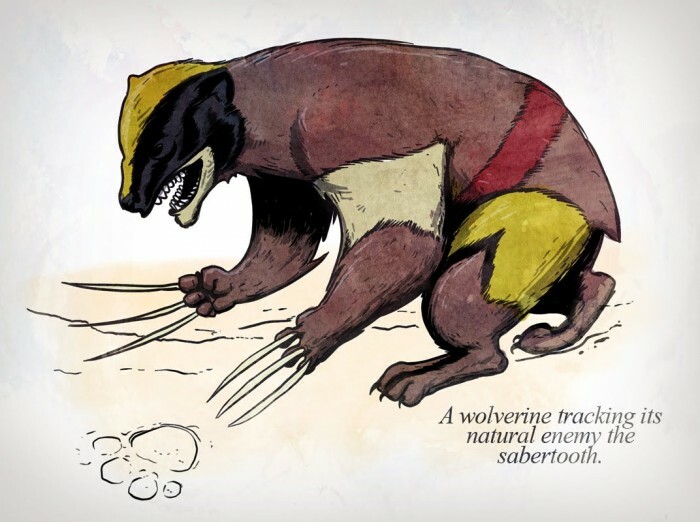 Namely that hedgehogs were blue, Tasmanian Devils were slobbering whirlwinds of fury and wolverines were long clawed yellow animals with a propensity to smoke cigars. So it came with great horror to discover that the way these animals misrepresented themselves. That was supposed to come out as a quote, from the linked website (its original author).